My days of owning and working on Rangers go back to 1992. During that time, I’ve came to own and work on various generations of them. I like them so much, I created The Ranger Station back in 1999. When Ford contacted me and asked me if I wanted to come and see its debut, I was not going to say no. 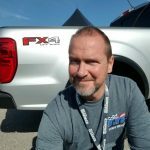 Ford was so excited to debut the new Ford Ranger to enthusiasts, they told me to bring (4) of our forum members with me. 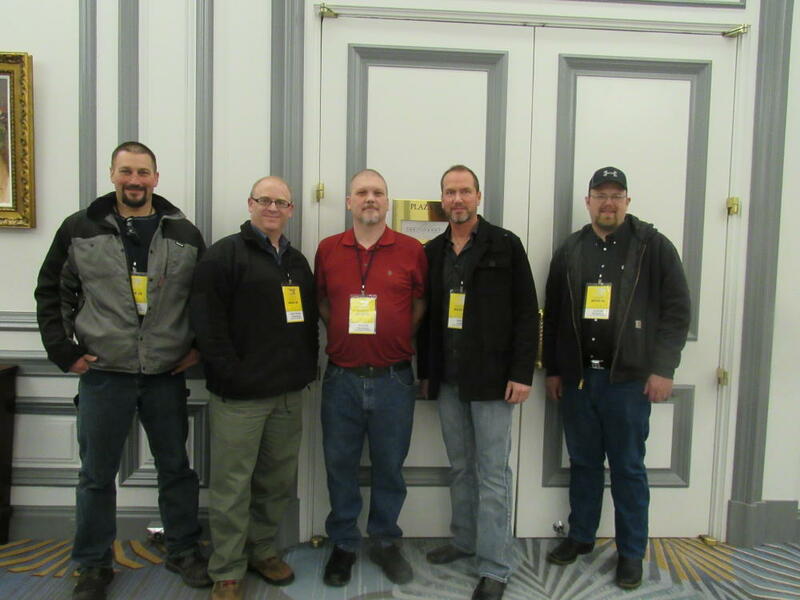 We were given credentials to the North American International Auto Show (NAIAS), shuttled to the show by Ford, and given excellent seats. 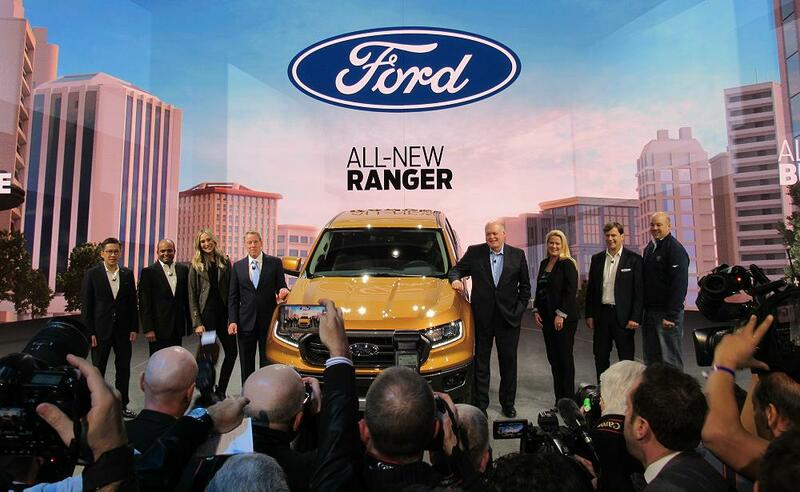 After watching Ford’s presentation, the media flocked all over the Ranger. 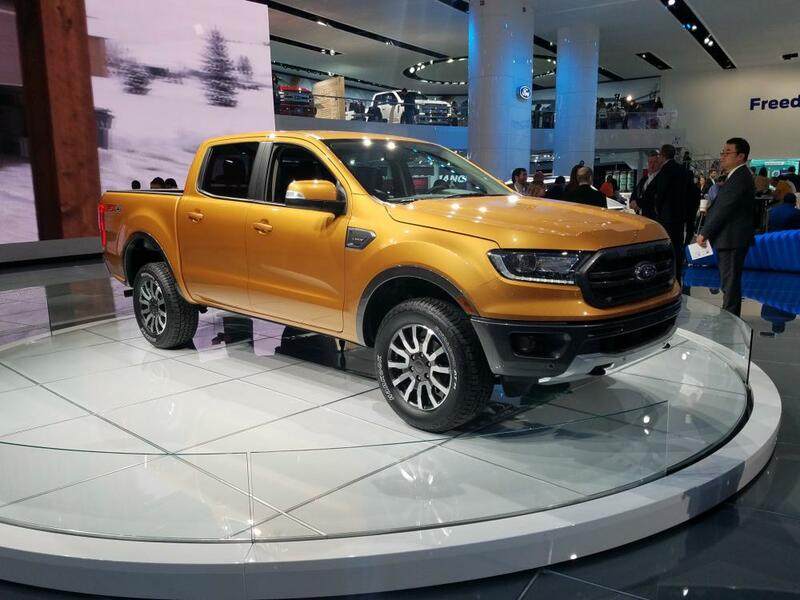 We checked it out as well, and were told that we would be coming back on Monday for a one on one with the Ford Ranger team. I think it’s safe to say that we were all very pleased with what we saw. We began posting photos on facebook right away, and I was still awake at 3 am reading your comments. I made some notes based on those for our meeting on Monday. 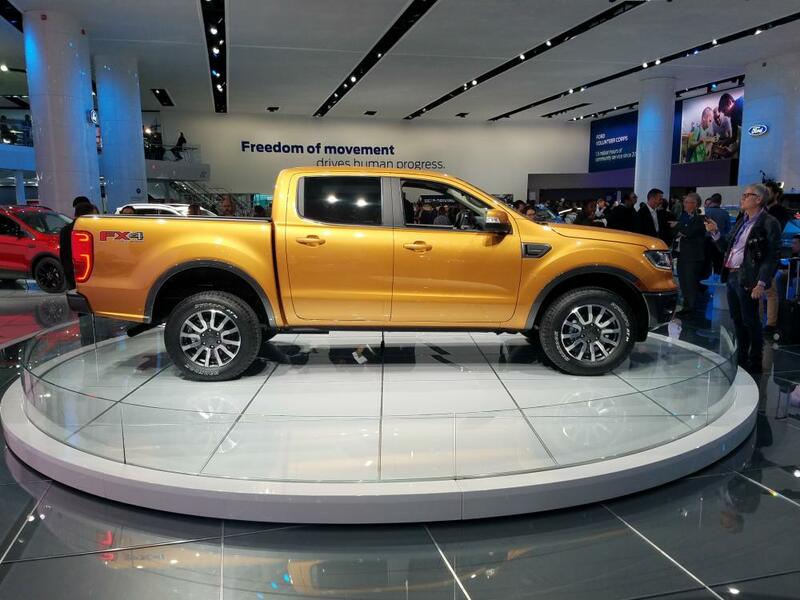 There has been this idea that the new Ford Ranger would simply be the same truck that’s sold in other countries. I’ve also read some insulting comments that compared it to a Honda Ridgeline, or asked if it was a unibody truck. 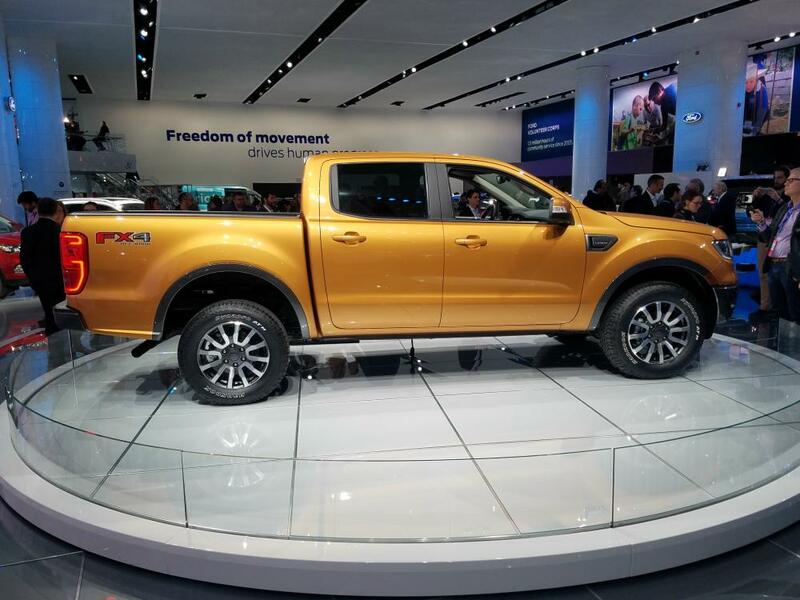 Above is a photo (left) of the Global Ford Ranger, and the 2019 Ford Ranger (right) that will be offered in the United States. 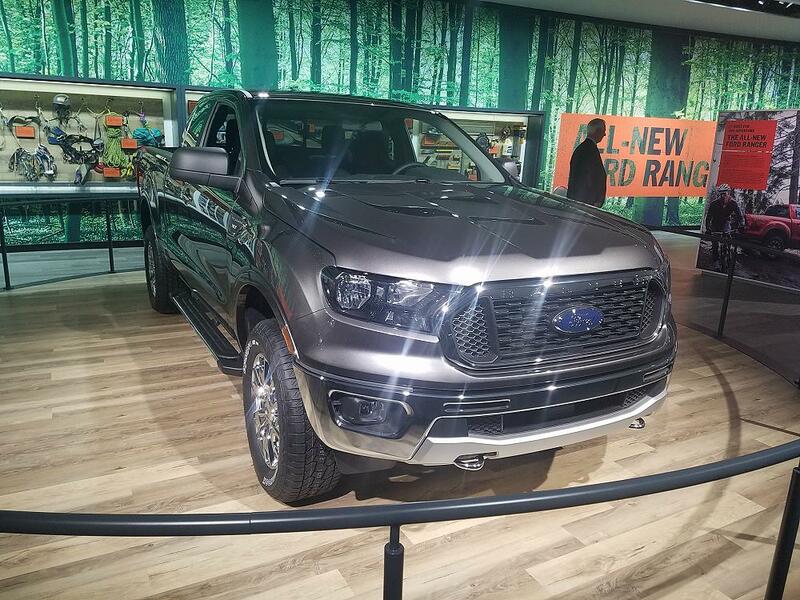 While the global Ranger has a fascia, the North American Ford Ranger has a real steel front bumper. You can clearly see that while it shares a lot, it’s still it’s own design. 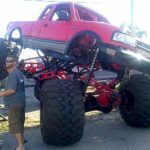 Not only is this truck not a unibody, but it has a fully boxed steel frame. 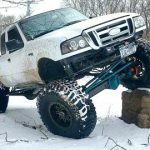 Yes, the frame here is actually beefier than the one used on any of the past Ford Rangers. 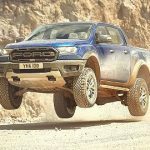 Yes it’s true that the Ford Ranger will be powered by a 2.3L Ecoboost. The mere mention of a 2.3L brings back memories of an under-powered 4-cylinder Ford Ranger. Technology has changed. 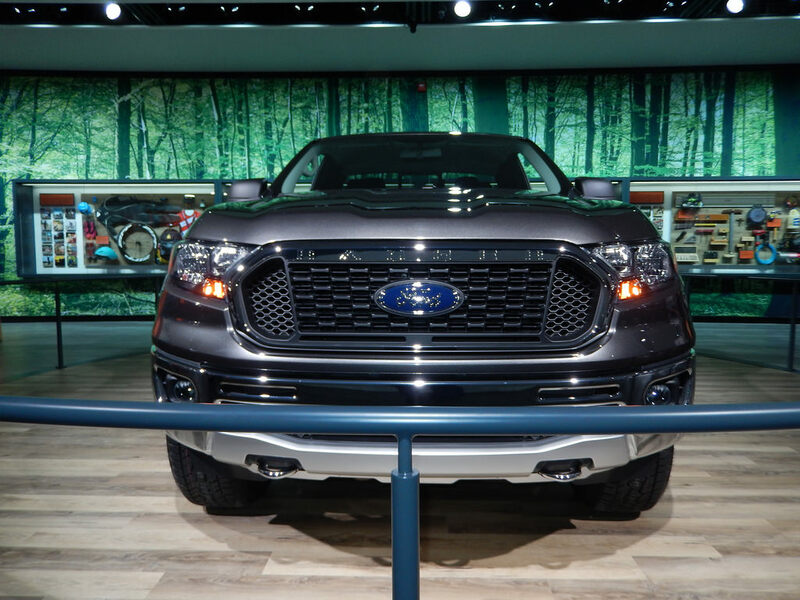 The new Ford F-150 is powered by a 2.7L Ecoboost, and this engine is only 0.4 liters smaller. In fact, the 2.3L Ecoboost in the Ford Focus RS makes 350 hp and 350 lb-ft torque. While it’s highly doubtful the 2.3L in the Ranger will make that, it’s definitely going to make more then the 207 hp in the last 4.0L Ranger. 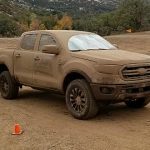 The transmission is a 10-speed automatic, and the 2019 Ford Ranger is not going to be released with a manual. Want to be able to shift the transmission yourself? Simple, simply put the transmission in manual mode, and use the + and – buttons on the side of the shifter to shift up and down. 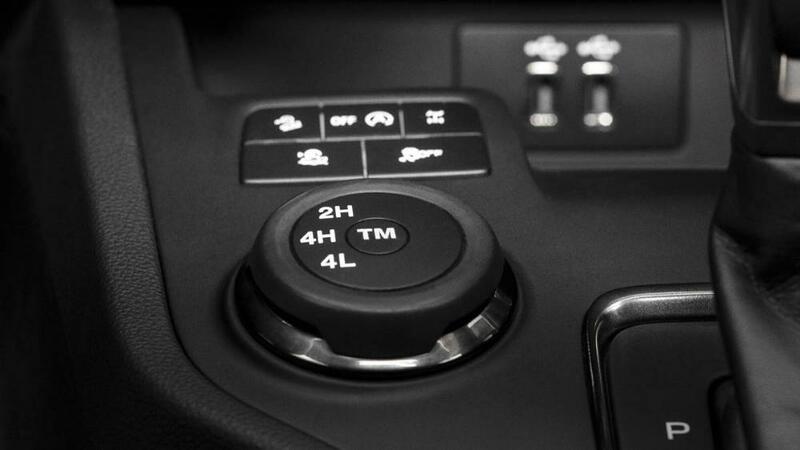 The Terrain Management System allows you to flip between settings while the Ranger is in motion. Each will have its own throttle and transmission mapping, together with adjusting factors like traction, drivability, and performance. In addition, it introduces a new feature dubbed Trail Control. 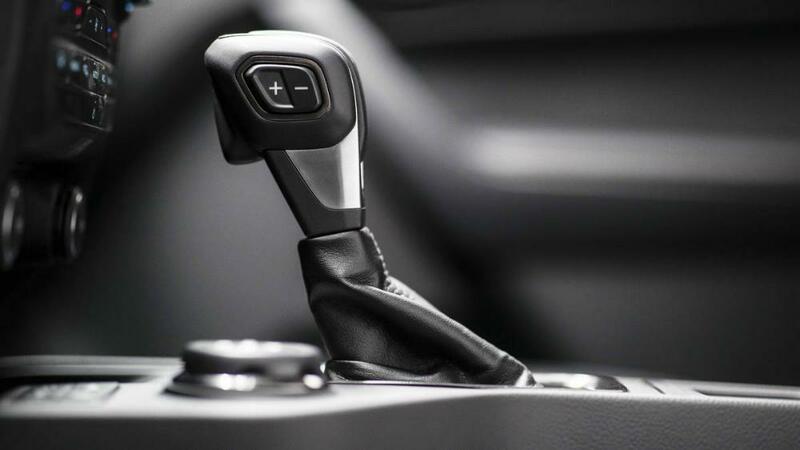 It’s basically cruise control for off-road use. Intended for low-speed and tricky terrain, it handles acceleration and braking for each wheel individually, leaving the driver to focus on steering. 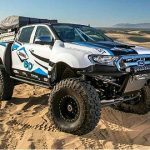 The 2019 Ford Ranger will come with Dana axles. 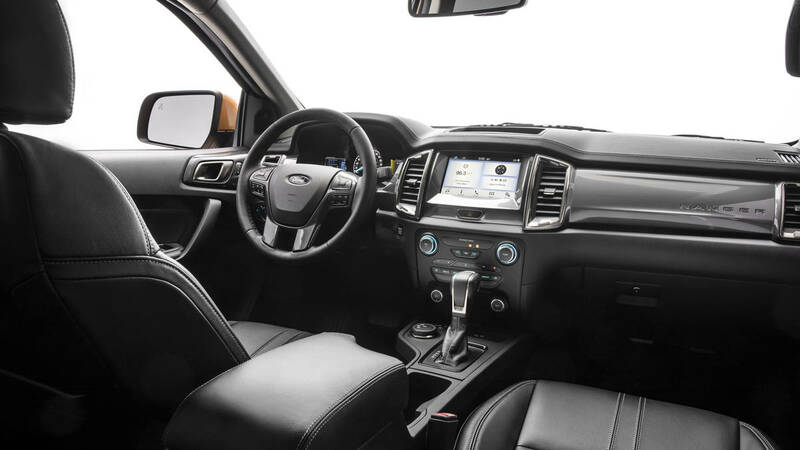 Ford would not give any information about the ring gear sizes and ratios, but said that an electronic-locking rear differential will be standard on the FX2 and FX4, and optional on all other models. Inside, there’s space for five and cargo. 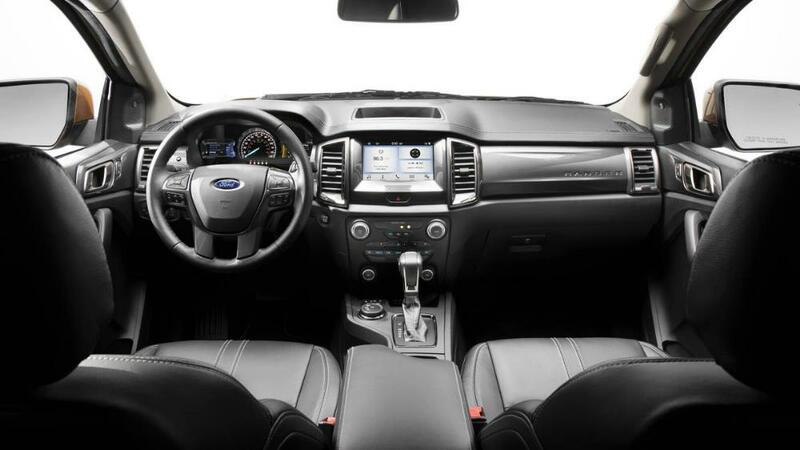 SYNC 3 with its 8-inch touchscreen, Apple CarPlay, and Android Auto is optional, while the driver gets dual-LCD info screens that show things like real-time vehicle information, navigation, and audio settings. 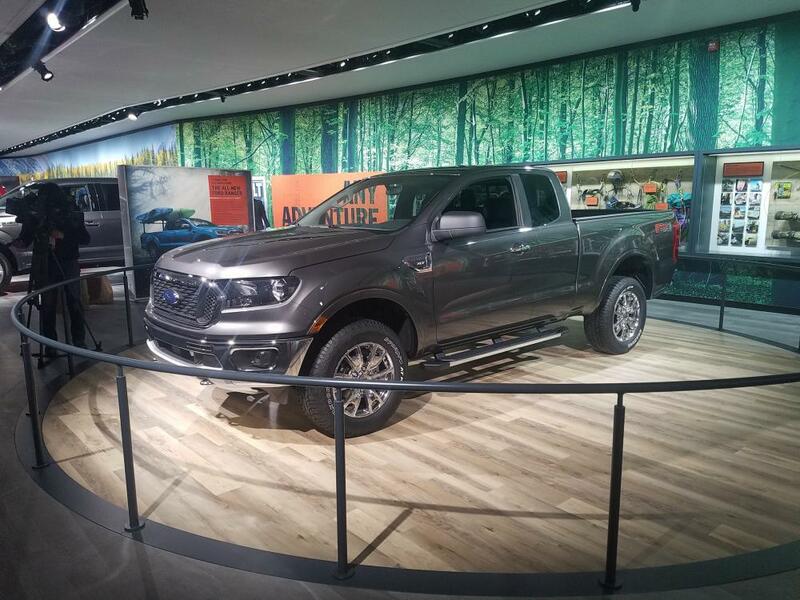 In a departure from the original Ranger, the 2019 truck will have plenty of driver-assistance tech too. Automatic Emergency Braking is standard, while lane keeping assistance and departure warnings, a reverse sensing system, and blind-spot warnings with trailer coverage are standard once you get to XLT and Lariat trim. 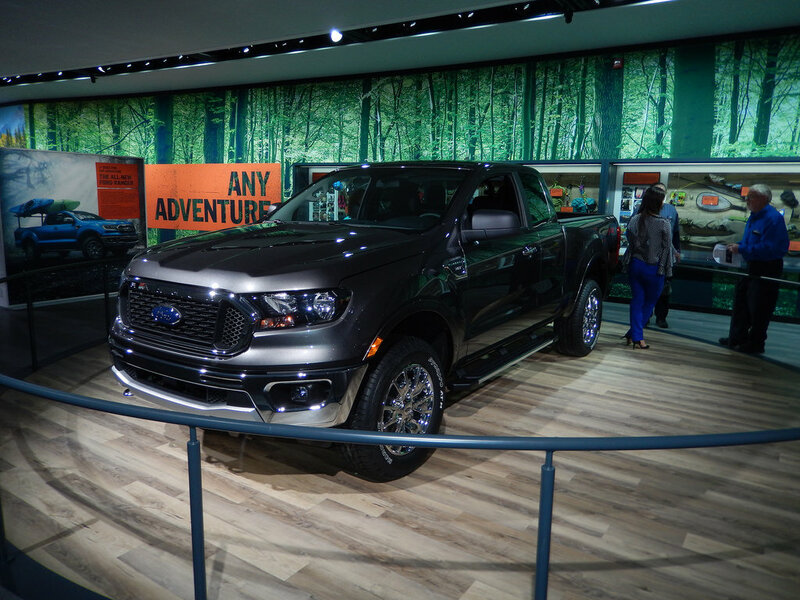 The 2019 Ranger Lariat also throws in pre-collision assistance with pedestrian detection, together with adaptive cruise control. 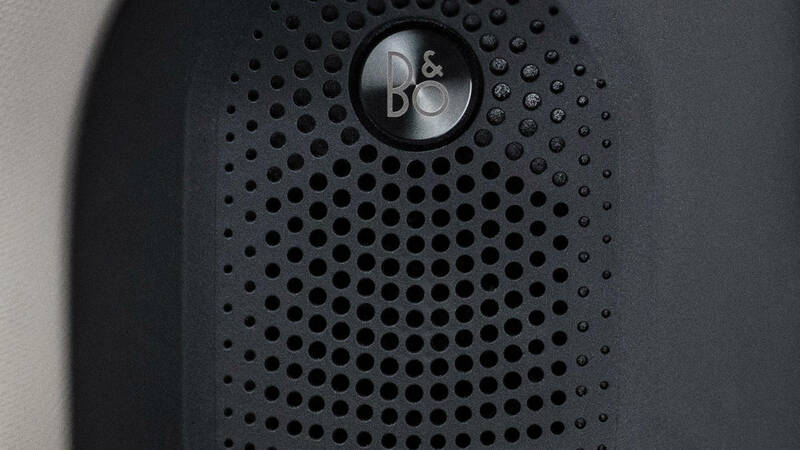 Other options across the range include onboard LTE with WiFi hotspot support for up to ten devices, AC power and USB outlets, and a B&O PLAY premium audio system. Outside, there’s the choice of LED headlamps and taillamps, together with puddle lamps and lighting for the cargo bed. Ford’s Smart Trailer Tow connector can warn about mis-connected trailer links. 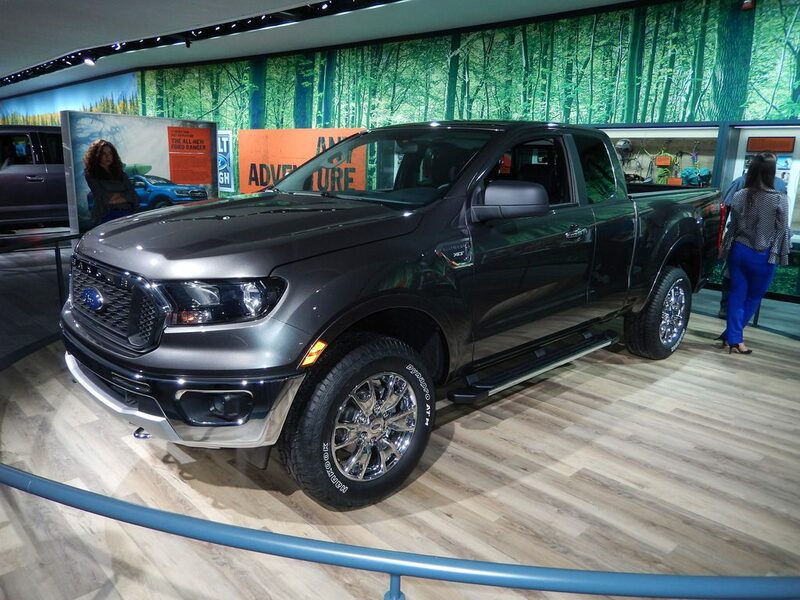 The 2019 Ranger will come in a XL, XLT and Lariat trim package. 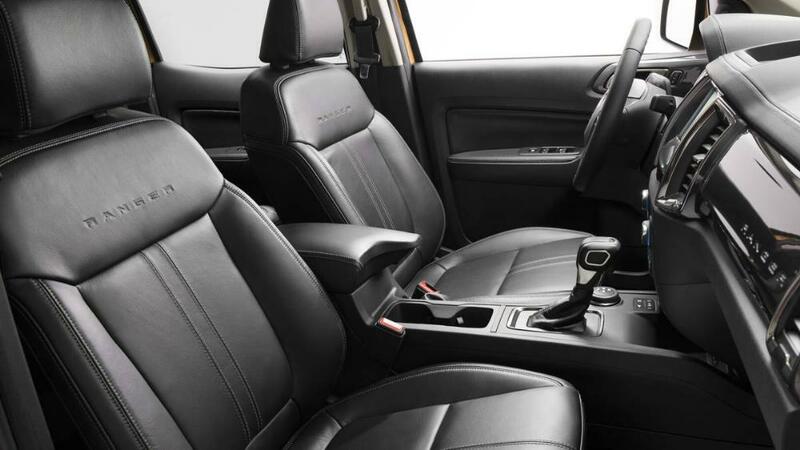 Leather seats will be offered in the Lariat package. 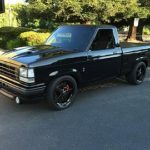 Both SuperCab and SuperCrew cab configurations will be offered (SuperCab will have the 1/2 doors that fold all the way back and fully open). There’ll be Chrome and Sport appearance packages, plus the FX Off-Road package. The Ranger shown above is a FX4 XLT with the chrome package. It had so much chrome and shine, that I struggled getting a photo from all the glare. 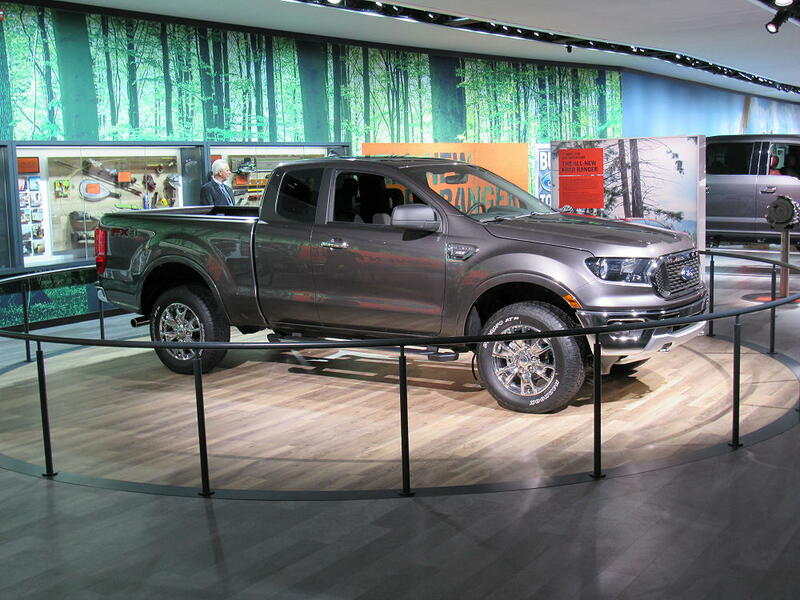 When asked about price and where it would fall compared to the F-150, they expressed their awareness that they need to keep the truck affordable. Ever agreed to go on a date, only to be surprised to find that your date is even better looking in person. It’s like that. Ever been in love, broke up, found someone better, and then wondered why you stuck with the old one for so long? It’s going to be like that. 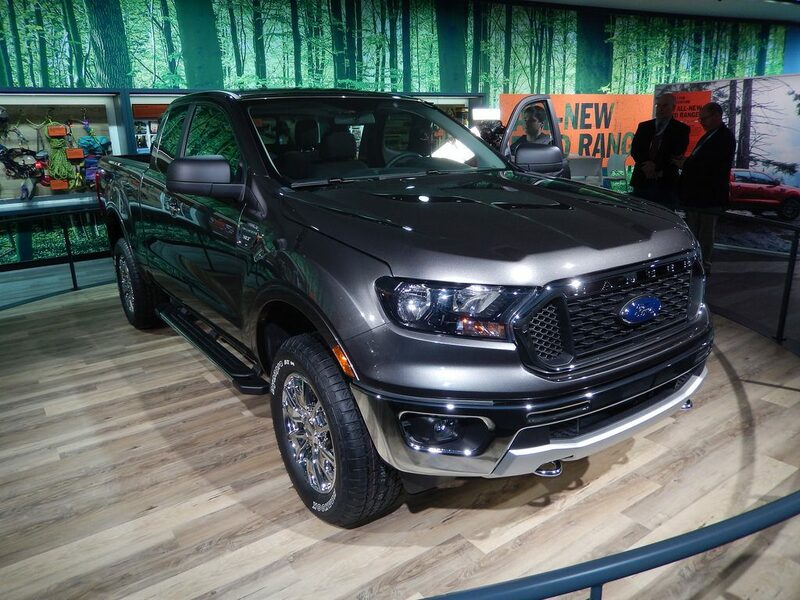 For those of you that are new to the Ford Ranger, or will be switching to the Ford Ranger brand, let me personally welcome you ahead of time. 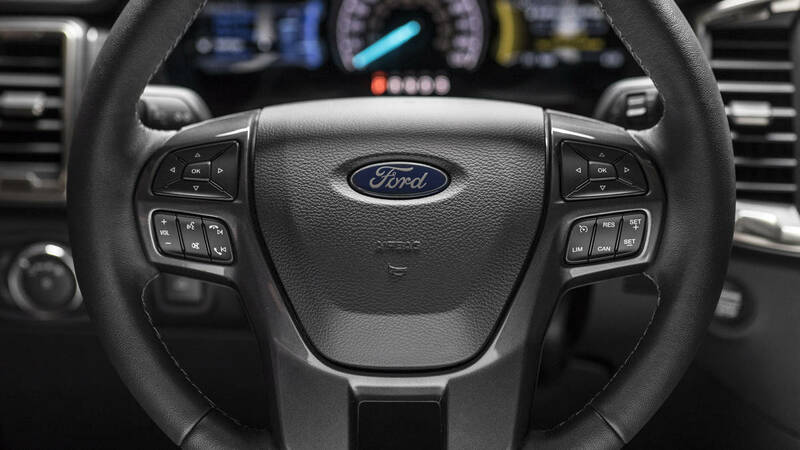 Upfitter Switches – Hey Ford, if you’re reading, add upfitter switches to the FX4 package trucks, or at least make them an option. My ‘adventure’ vehicles always have offroad lights on the front, and work lights on the rear. 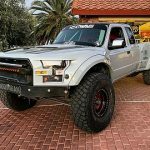 I doubt you’re going to find any real off-road adventure vehicles that didn’t have accessories added to them that requires a switch. It’s getting harder to find places to mount the necessary switches on newer vehicles. 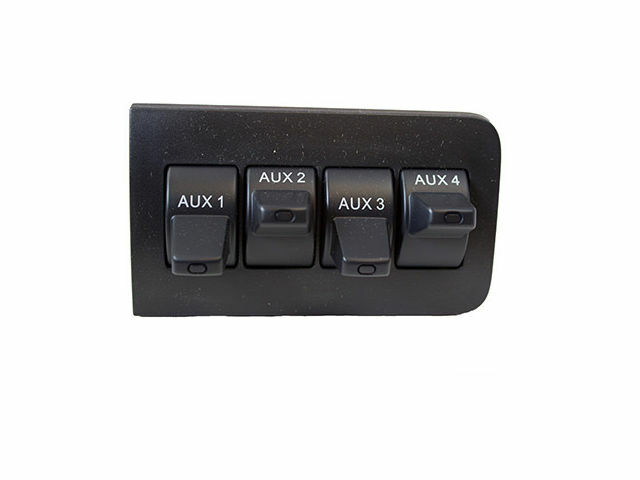 I’m sure you could add them somewhere on the center console near the 4WD switch.